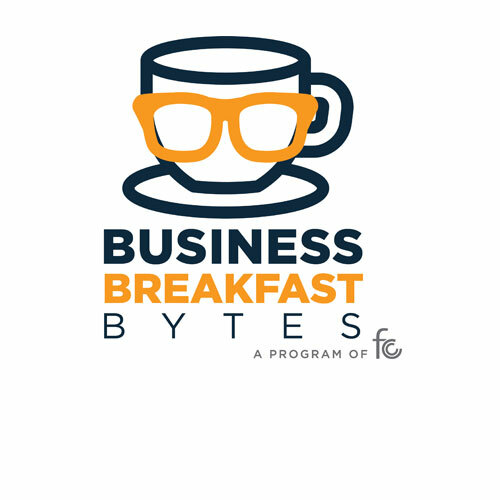 The January Business Breakfast Bytes will feature a panel of experts who are knowledgeable on the reasons why an employer should encourage their employees to continue education and the ways they, as a business, can provide incentives or assistance with that process. Are you an employer looking for ways to increase employee retention? Are you looking for ways to promote from within your business? Are you an employee who has been considering going back to school? Are you looking to create or be a part of a well-rounded workforce? In a business climate where finding and retaining quality employees is dire, employers should be constantly on the lookout for ways to create an appealing workplace and top-notch staff. One way to do so is by encouraging their employees to continue in education. This can be done by providing specific and occasional opportunities (such as partnering with a local university to offer certification courses to your employees), to a more in-depth process such as providing financial assistance for an employee to go back to school (whether through full or partial tuition reimbursements). Allowing employees to attend training courses also benefits the company as a whole by creating an educated workforce who continue to stay up-to-date on current business trends and also works in reducing turnover. Forbes.com mentions that "tuition reimbursement programs offer a major return on investment. Take Cigna, for example, who gets back one dollar and saves another $1.29 in lowered recruitment costs and turnover for every dollar they invest in tuition reimbursement" (Craig,William - Successful Ways to Encourage Employee Development and Strengthen Your Team). Continue in your own educational journey by attending this presentation to learn all of the reasons an employer should encourage their employees to continue learning and how this will improve business overall.